As more people from Ireland moved to Belfast to escape the effects of the 1845 famine, the population moved further away from the city center and up towards the Shankill road. With the building of the linen mills the Shankill, like all main roads leading from the city center was a bustling thriving community and shops were needed to clothe and feed the population. 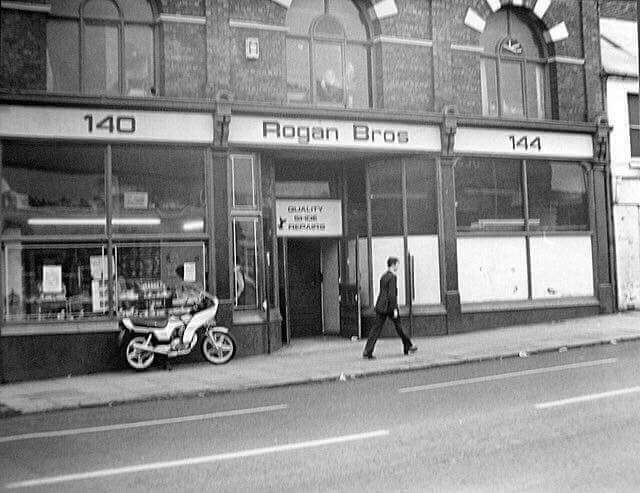 Two established shops are McDowell druggist and Stevenson’s Fruit shop both have been serving the local Shankill community for at least 100 years each, with people coming from miles around just for McDowell’s famous teething powders. 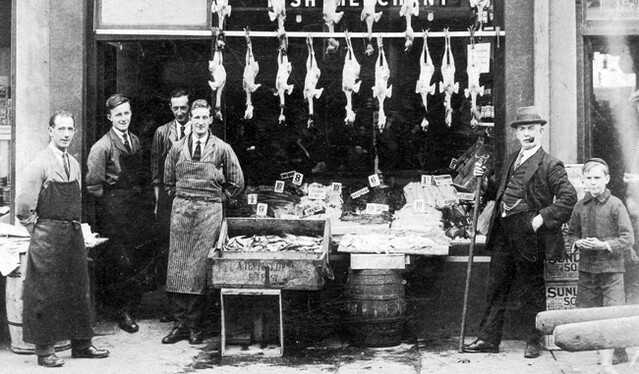 Other shops on the Shankill that have been trading for over 100 years are Ewing’s Fish Mongers, who have been trading on the Shankill since opening their doors in 1911 and are still going strong today, supplying some of the finest restaurants and hotels in Northern Ireland. The Shankill Road can also lay claim to having the oldest pub in Belfast, with the Rex Bar, having opened to the public in 1865. 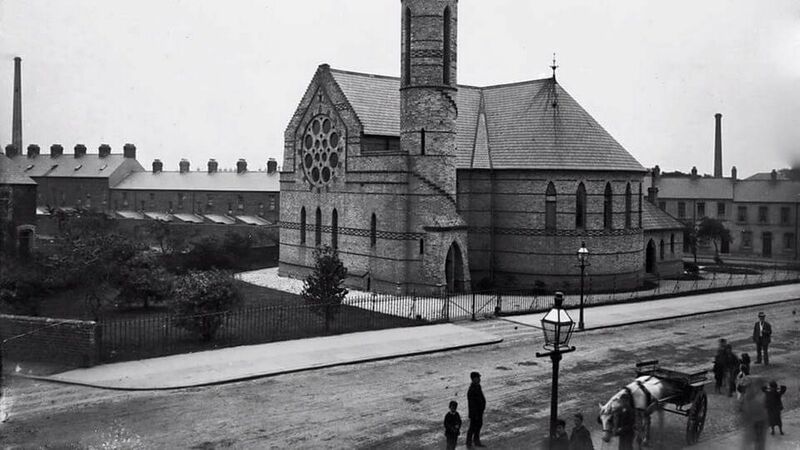 St Matthews Church sits at the junction of the Woodvale and Shankill Roads and has served the community since 1869. 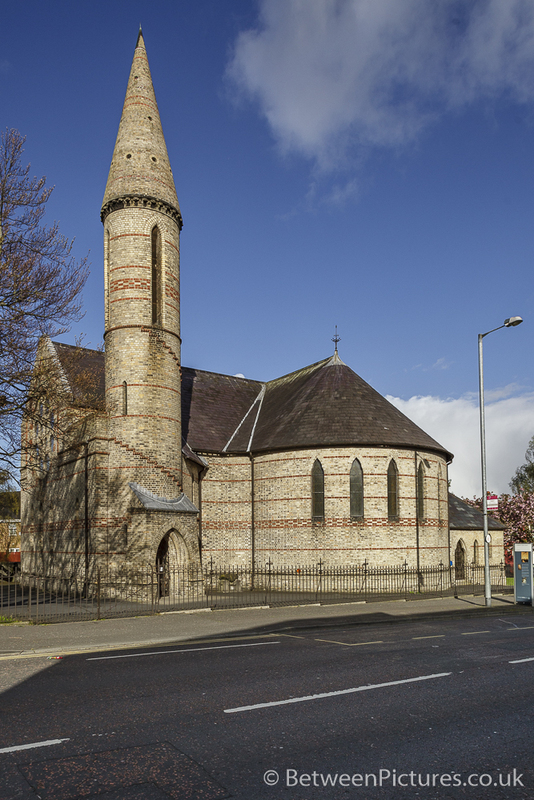 Designed and built by the renowned architects, Welland and Gillespie, who built many Church of Ireland churches throughout the North and South of Ireland. St Matthews is built in the shape of the shamrock and the ancient Irish symbol of a round tower. This building replaced the one where St Matthews parochial hall now stands. This site is believed to be the oldest Christian site in Belfast, dating back to around 455AD. It is said that St Patrick himself visited this site. The name Shankill means Old Church in Gaelic. The Belfast Experience is a new initiative to promote Belfast and its surrounding area through tours and published content.